SYNOPSIS: 1348: Europe has fallen under the shadow of The Black Death. In this apocalyptic world, the fearsome knight Ulric is charged by the church to investigate rumors of a village that the plague cannot reach. 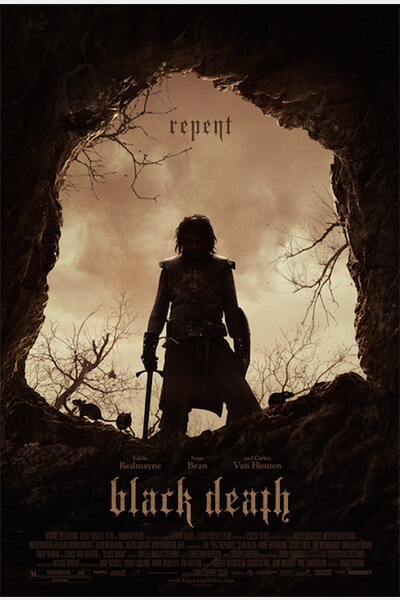 A young monk called Osmund is tasked in leading him and his band of mercenary soldiers to the marshland, but Osmund has other motives for leaving his monastery. Their journey to the village and events that unfold take them into the heart of darkness and to horrors that will put Osmund’s faith in himself and his love for God to the ultimate test.